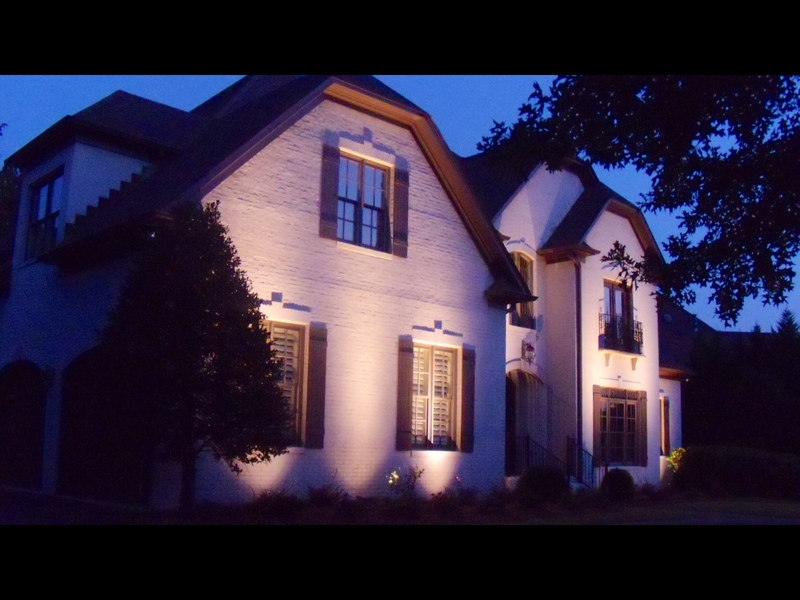 With the introduction of LEDs several years ago, outdoor lighting designers now have the choice of numerous color options for the outdoor lighting design. Most often, designers will choose warm white rather than neutral or cool white. While conducting design consultations, I am constantly told “we don’t want the blue look of LEDs”. 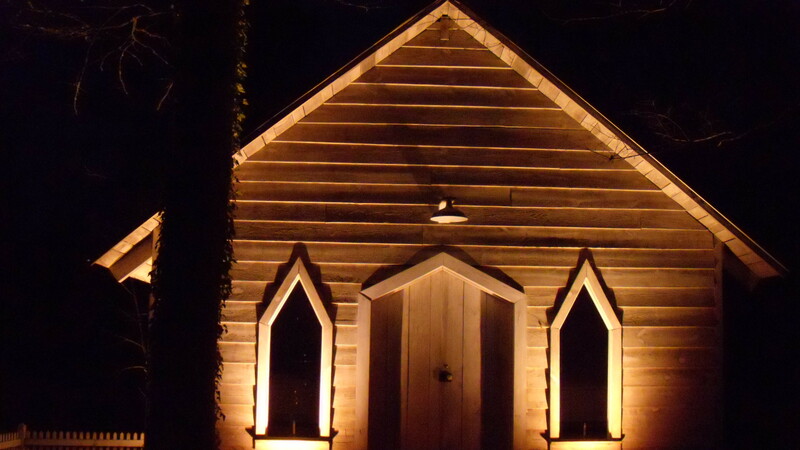 My response is always the same….outdoor lighting typically is done with warm white lamps. However, warm white still has its variations. A 2700 K lamp contrasted with a 3000 K lamp show noticeable differences. At this point, the experience of the designer takes over. Some applications simply look cozier and more inviting with a warmer (2700K) look. 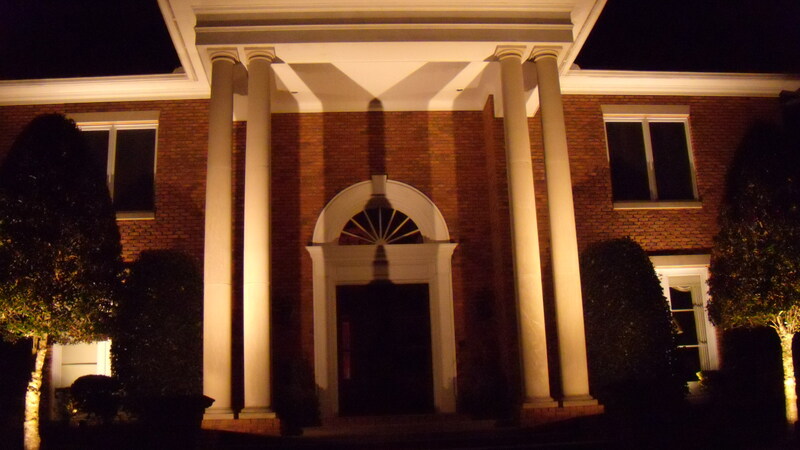 Another school of thought is that uplights should be 3000K and downlights should be 2700k. 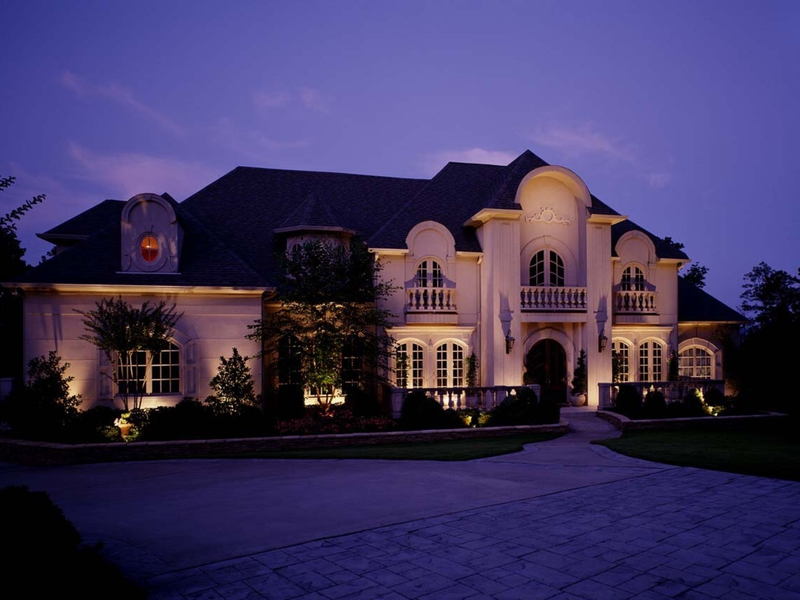 Yet another philosophy is to use 3000K on architectural features and landscape lighting because it will be a “truer” color. 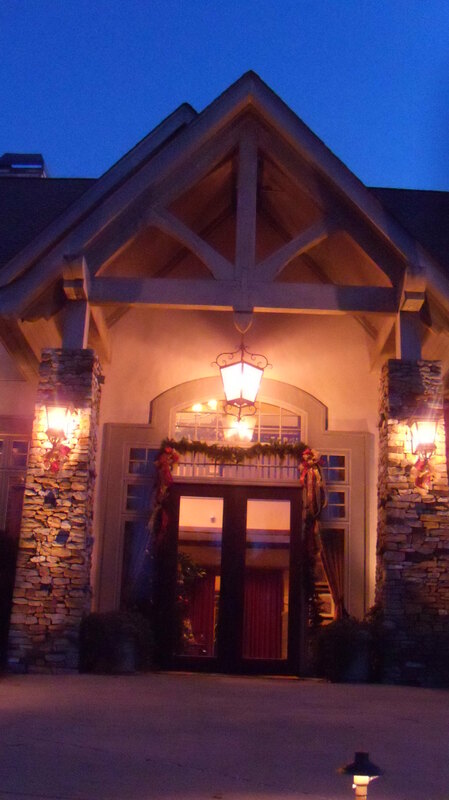 Do you prefer a crisp, clean look when lighting flagpoles? With a little bit of creativity, gaudy fixtures can be eliminated, and replaced with recessed fixtures. 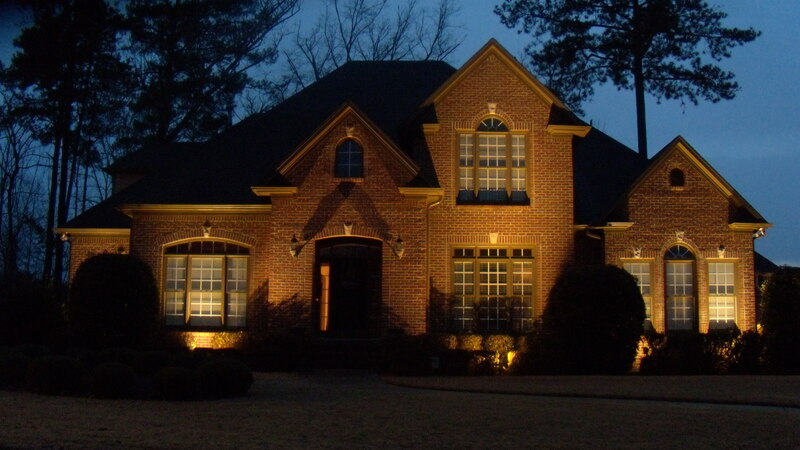 This becomes a relatively easy task with the introduction of high output low voltage LED lights. 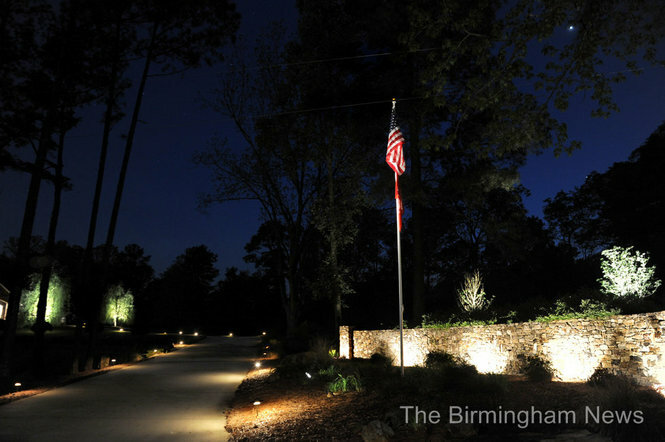 Our most recent application was to illuminate the flagpole at the Greystone Golf Club outside of Birmingham. 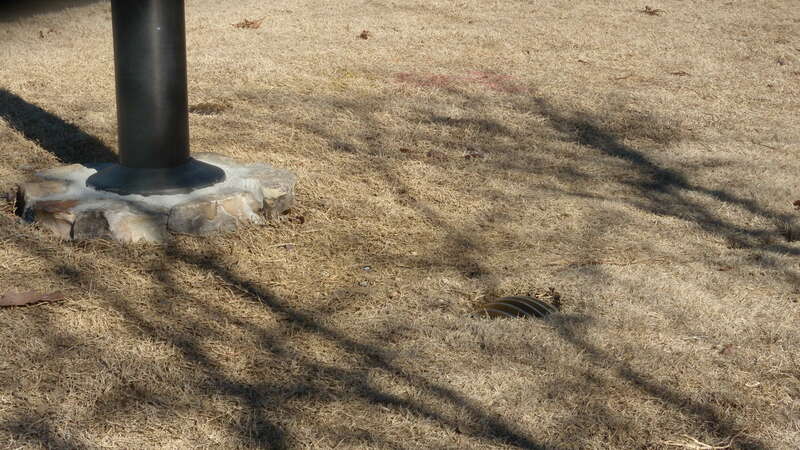 It was an approximate 30′ flagpole. We selected fixtures that accommodated 10watt 15 degree LED PAR lamps. The photometrics of these lamps proved adequate for strong illumination at this distance. By following a few simple guidelines, installation is relatively simple. First, begin by creating a layout. Most times, three fixtures will adequately illuminate a flag pole. They should be equidistant from the pole and equidistant to each other. Next, using a post hole digger, remove sod and dirt to the required depth for the fixture, allowing several inches for pea gravel. 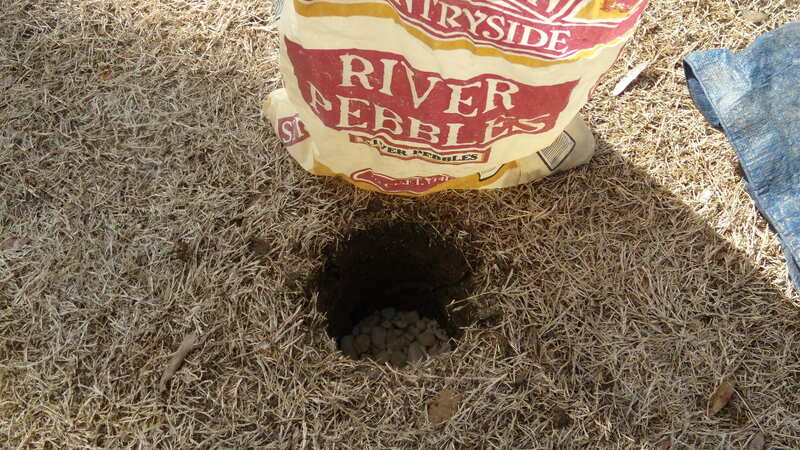 The gravel will facilitate better drainage. 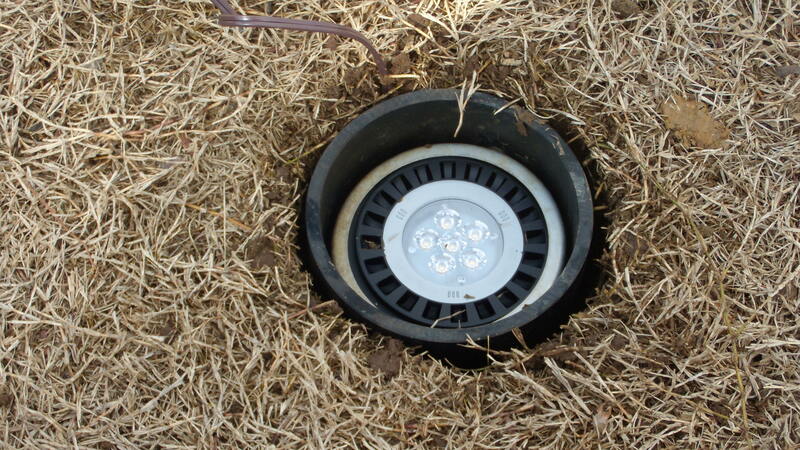 Next, insert the fixture into the hole, ensuring that it will be “flush” with the sod line, so that mowers can pass over the top. 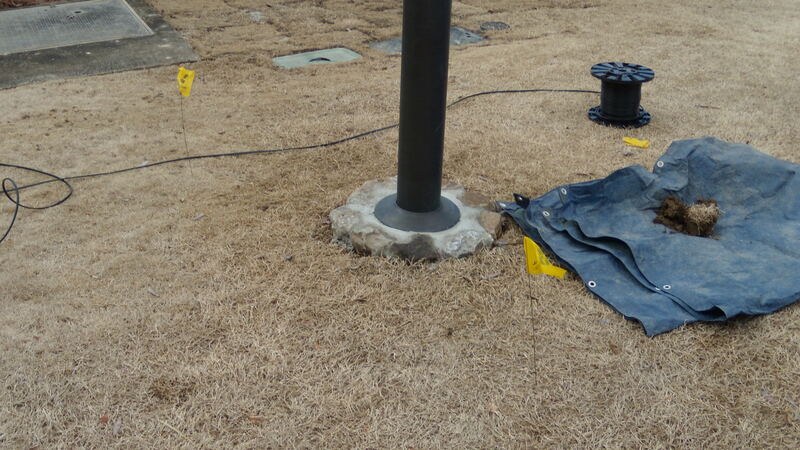 Also be sure that the adjusting mechanism for the fixture will facilitate bulb adjustment toward the flag pole. The next step is to clean debris off of the lens, and cover it with a clear plastic or glass cover. 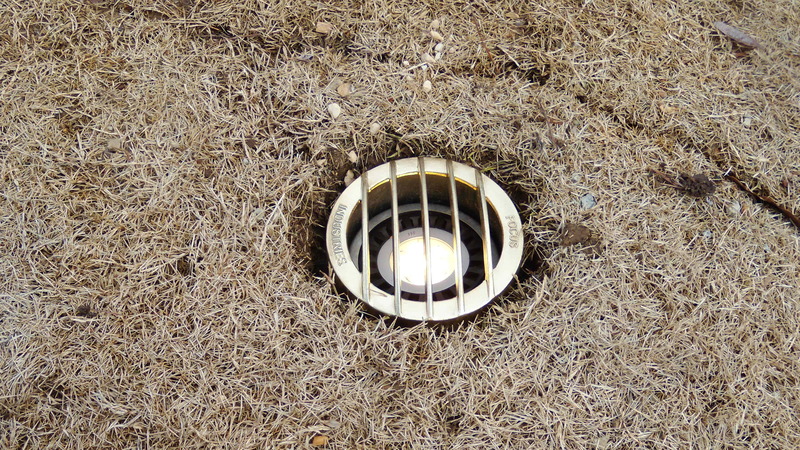 This cover will keep trash and debris from settling into the fixture. The final step is to place a grated cover over the fixture. These covers are typically available in aluminum or brass. Brass is the recommended choice because it will be much more resilient and durable. 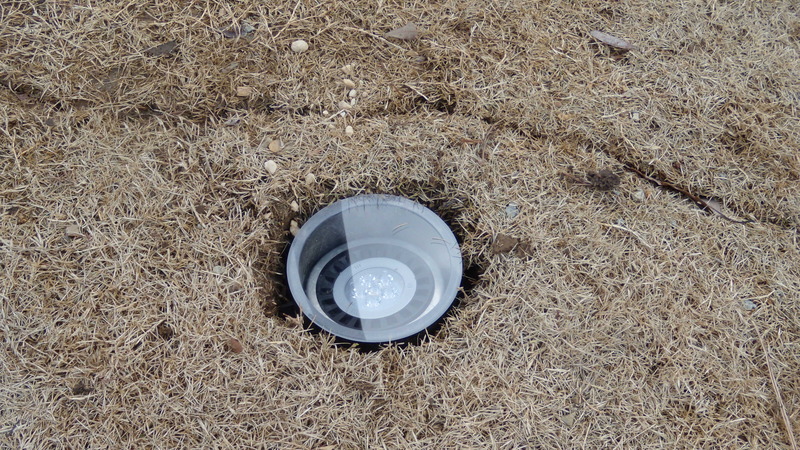 Once Spring arrives and the grass begins to green, these recessed fixtures will be virtually non-existent. Tips on how to retrofit conventional incandescent systems to LEDs. You too can experience lower maintenance, 80% less utility costs, exponentially longer lamp life, and cooler operating temperatures. Houzz is the leading platform for home remodeling and design, providing people with everything they need to improve their homes from start to finish – online or from a mobile device. From decorating a room to building a custom home, Houzz connects millions of homeowners, home design enthusiasts and home improvement professionals across the country and around the world. With the largest residential design database in the world and a vibrant community powered by social tools, Houzz is the easiest way for people to get the design inspiration, project advice, product information and professional reviews they need to help turn ideas into reality. 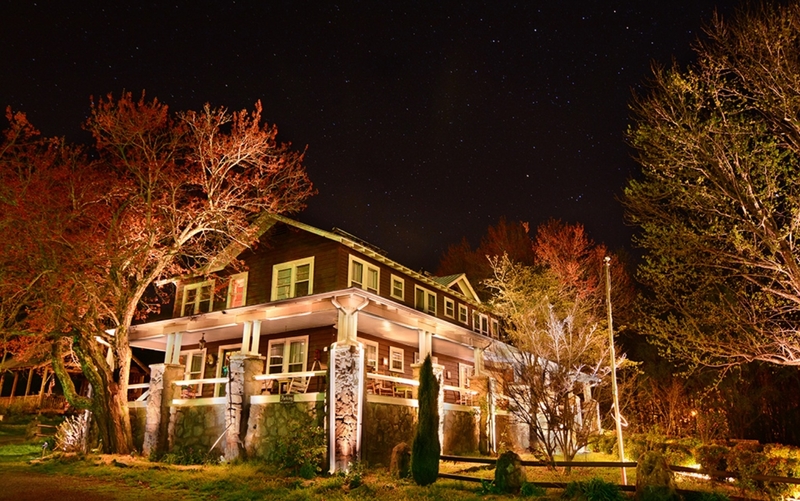 Each year, The Best of Houzz Service awards are issued. To win this award, companies must be nominated by their customers. The various testimonials are reviewed by the Houzz staff, and they in turn, recognize deserving companies with this award. 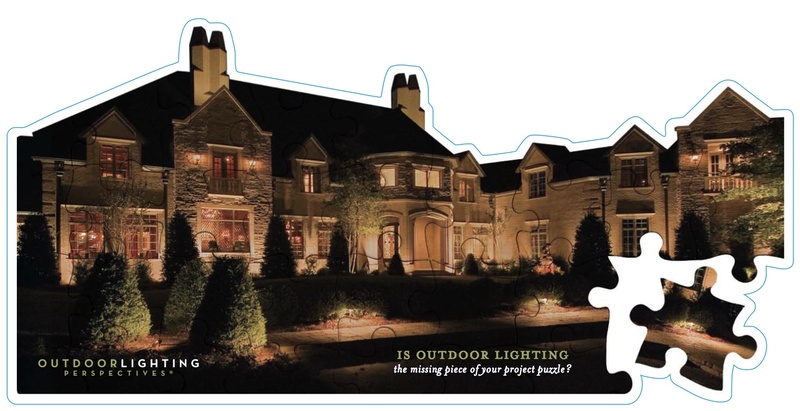 Outdoor Lighting Perspectives of Birmingham proudly accepts this award for 2014. 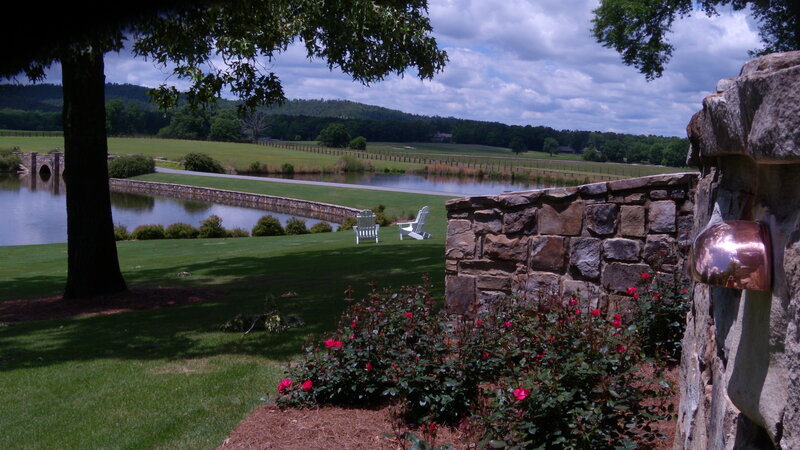 Be sure to check out houzz.com if you are planning a home improvement project. Additionally, you might like to stay abreast of new products and services. Houzz.com is the best site for this type of research. Browse or search the largest database of home photos and ideas in the world, save images to online ideabooks with your notes, then share and collaborate. Discover whose work inspires you, message professionals with questions about their work, read reviews from the community about architects, designers, contractors, landscapers and more. Have a design dilemma? Our passionate community of homeowners, design enthusiasts, and professionals from around the world would love to help! 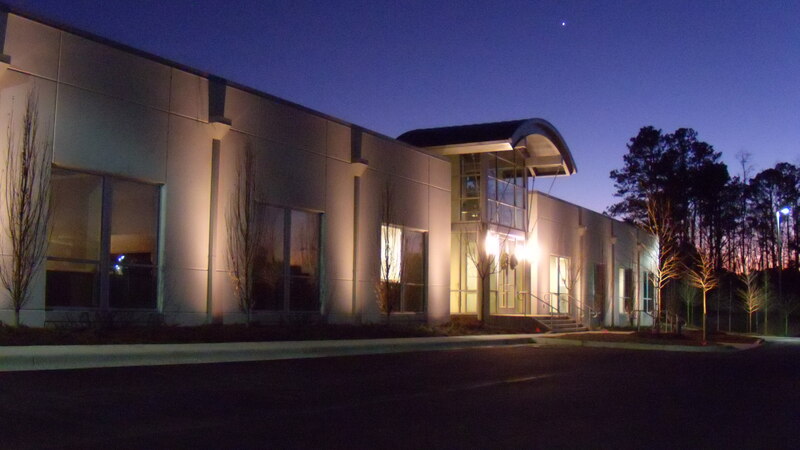 The Birmingham area has experienced a rebound in the amount of light commercial projects during 2013. 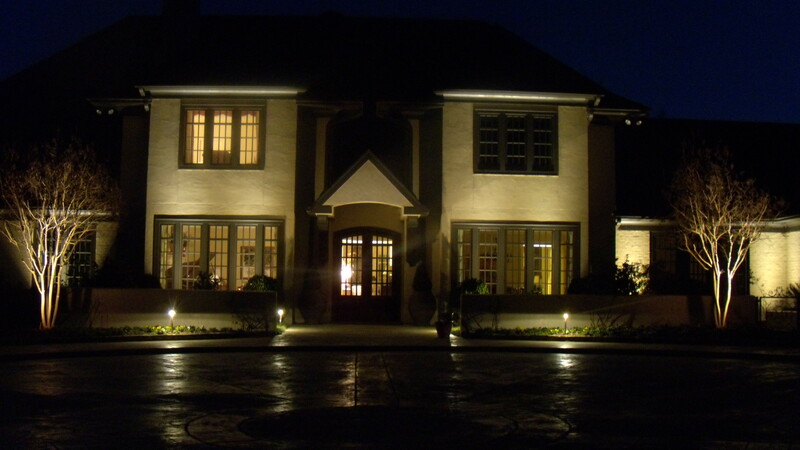 There is also an increasing tendency that many of the new projects specify low voltage accent lighting. 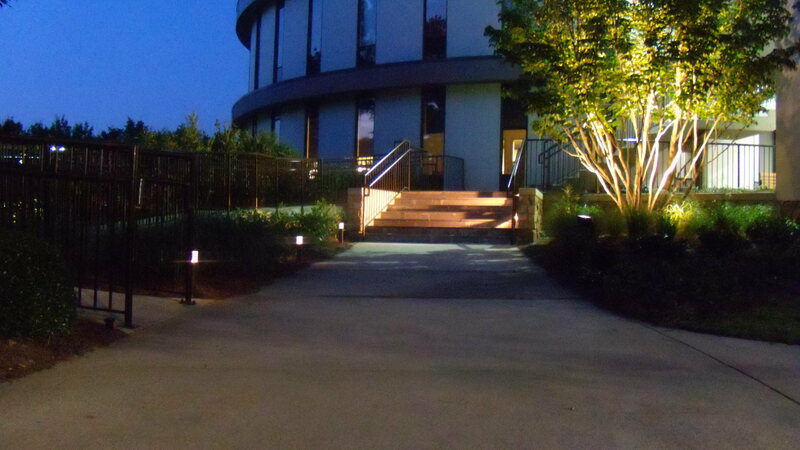 Outdoor Lighting Perspectives has been fortunate to be the beneficiary of 11 of these projects since January. 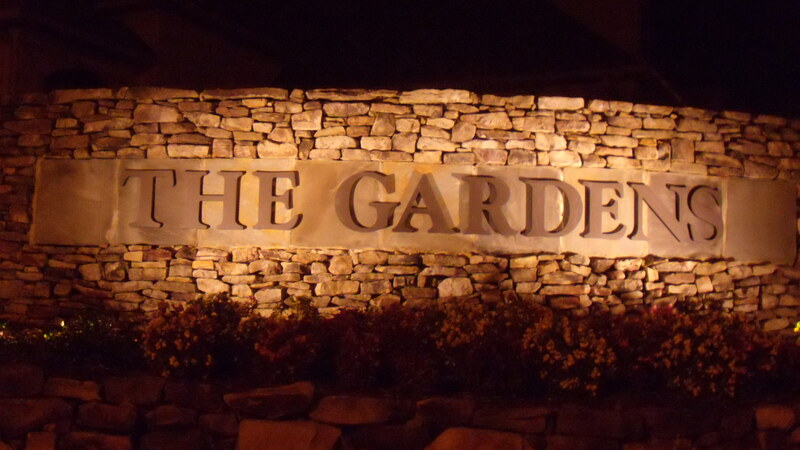 The feedback that we keep hearing from architects, contractors, and landscape architects is that “we want LEDs for this project”. 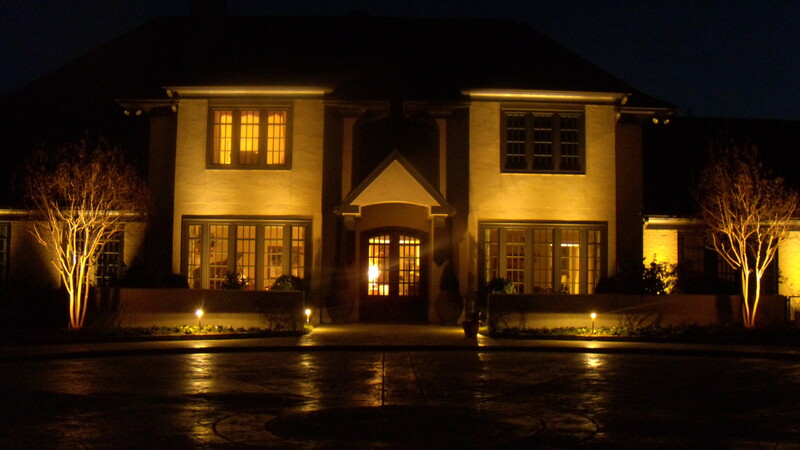 During the past several years, the advantages of LED technology for outdoor lighting has been well documented. The reduced maintenance, longer lamp life, and lower operating costs are very attractive to building owners and management companies. Gone are the days of the icy blue look, because warm white LEDs have the same color rendition as their halogen counterparts. Additionally, the amount of lumens generated by low-wattage LED lamps is phenomenal. In many cases they are comparable to commercial grade line voltage fixtures. Since most commercial facilities opt to leave the lights on from dusk to dawn, it is more palatable since LEDs consume approximately 80% less power than halogen systems.